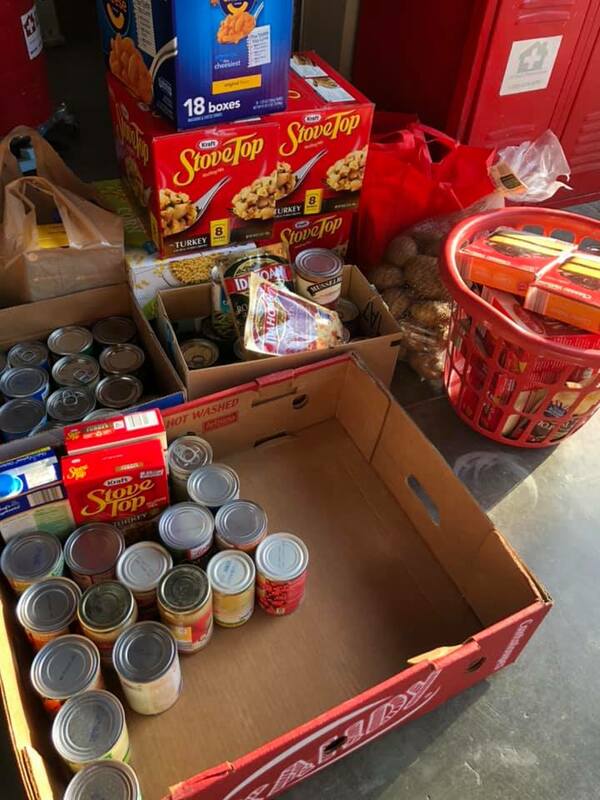 As is our chapter tradition, throughout November we collected donations (both food & monetary) for the Orange County Basket Brigade. Since 1995, this wonderful organization has been helping to provide all the necessities of a Thanksgiving meal which are given to families in need. 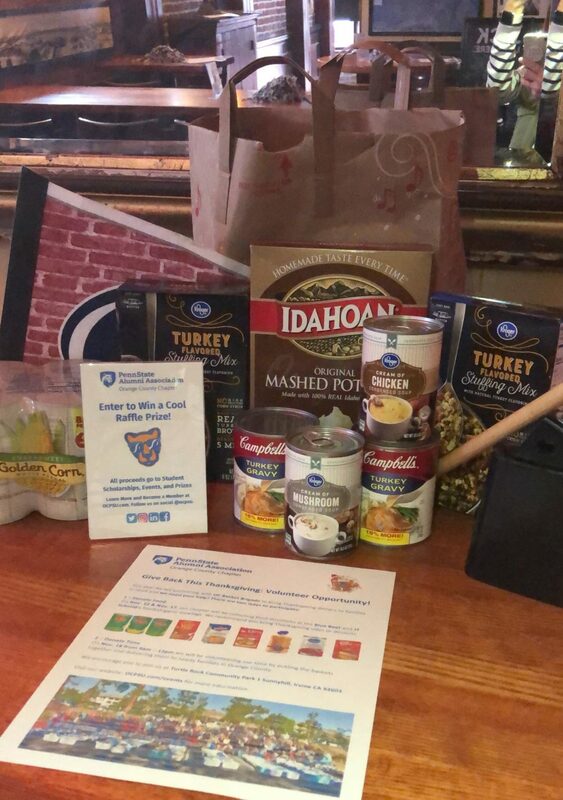 This year we collected several bags of food (we had two full Trader Joe’s bags from Blue Beet alone) and over $250 from Penn State fans at JT Schmid’s and The Blue Beet. Beginning last year, we not only came together to donate these physical items but gave our time as well! On Sunday, November 18, chapter members plus friends and family met with many other volunteers to organize literally truckloads of donations at Turtle Rock Park in Irvine. It was a beautiful day to come together and sling frozen turkeys into laundry baskets along with corn, beans, cranberry sauce, stuffing, gravy, potatoes, and much more. Once finished, we joined in the group blessing and then set out to deliver all baskets to the 430+ families in the area. It is a great feeling to give back to our community, and what a special opportunity to see the full circle from donation to providing direct love and support to those most in need. We will continue doing this for years to come, and always welcome volunteers! Thank you to all who donated and participated! Getting ready to deliver the baskets to needy families!